If you have an upcoming project that requires an aboveground storage tank, then you should be considering our company as a partner to help in the construction. ATEC Steel engineers are experts in the design of aboveground storage tanks that are required to comply with the rigorous standards of the American Petroleum Institute (API). Our professionals serve on the API 650 oversight committee regarding the design, construction and testing of aboveground storage tanks and fully understand the importance required to adhere to this standard. Once the tank is designed, fabricated and shipped it is now in the trusting hands of our expert field crews. 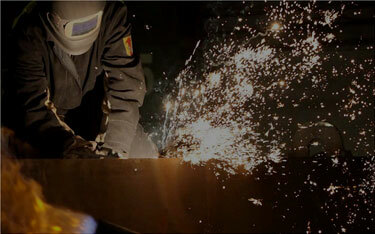 These professionals are provided the latest and best field welded tank equipment available in the industry today. They fully understand the importance of maintaining project schedules and quality construction, all will adhering to our customer and our company rigorous safety requirements.